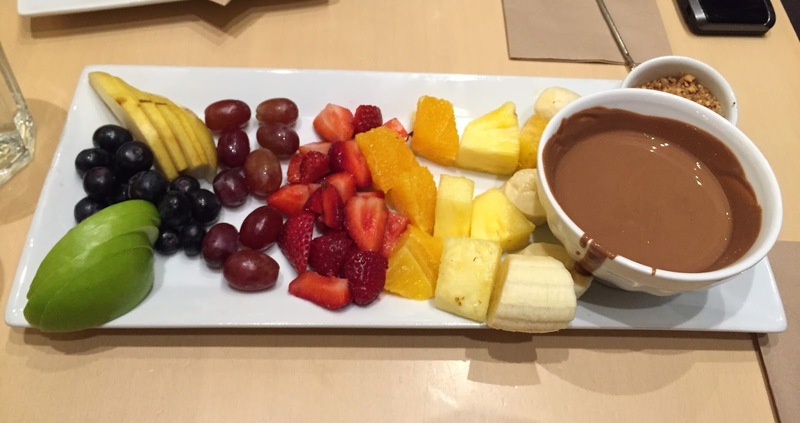 The Fruit Plate at Juliette et Chocolat comes with strawberries, bananas, apples, pears, oranges, pineapples, grapes and blueberries. 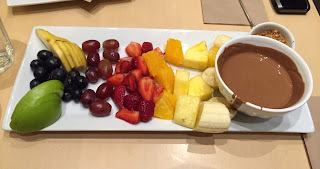 Before, we had a chocolate trio and this time, we got Chocolate and Hazelnut Praline Bowl. Milk chocolate with creamy hazelnut praline and crunchy praline bits. 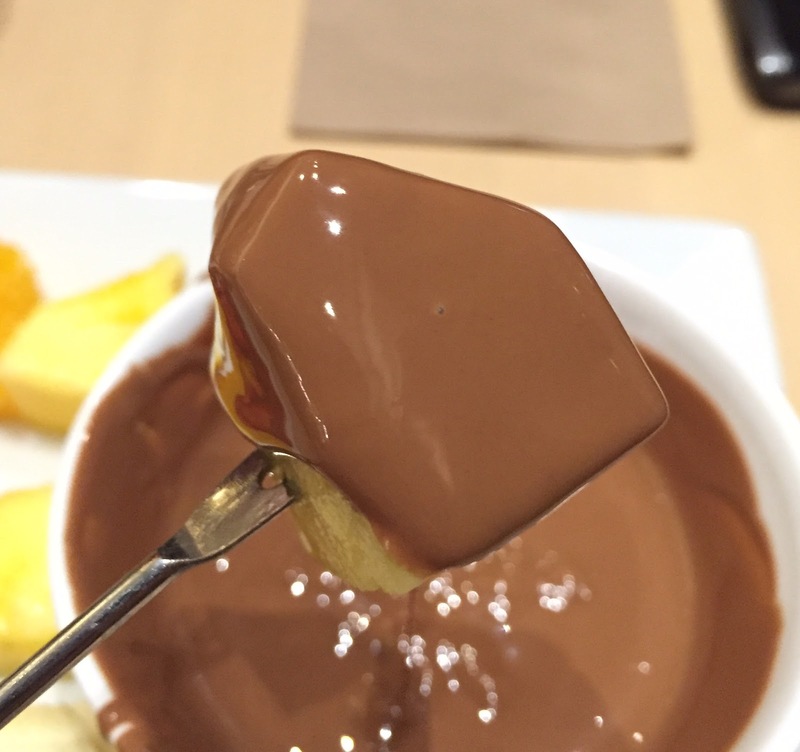 First I put a fruit on a metal skewer and dunked in the milk chocolate. 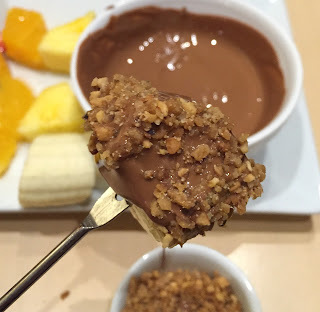 Then I put the chocolate coated fruit into the crunchy praline bits. It tasted already tasty with the chocolate, but with crunchy bits, it added crunchiness and toasty flavor more.